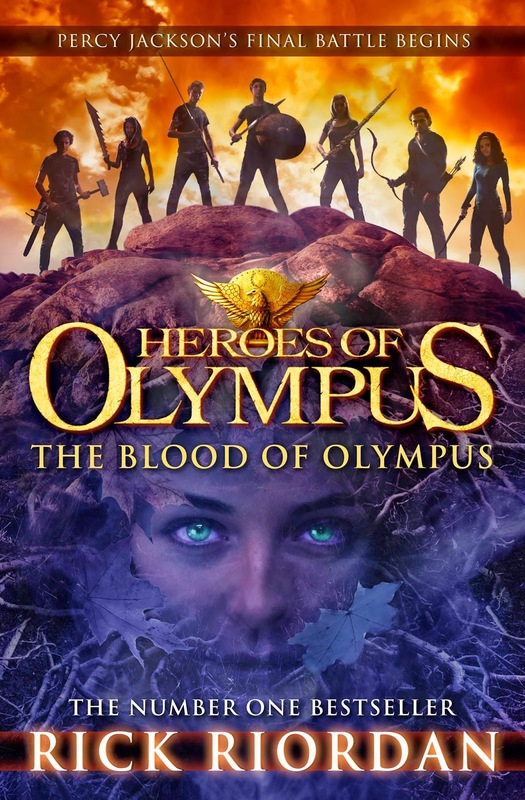 The UK cover for Blood of Olympus was released today. This is also the cover that will appear in other markets that typically get the UK covers -- Australia, New Zealand, India, etc. I don't usually post the British covers, because they're really not my favorites, but this one is pretty good! The seven demigods look like twenty-year-old Abercrombie models, in my opinion, but whatever.